Today marks the eleventh year of Opuscule’s history. We’re celebrating with a website redesign, offering of new products like WordPress Maintenance and Video Production, and an upgrade to SSL. As for the website, we’ve made a few enhancements on the back end. The site is hard coded, and hosted for free through GitHub Pages. And we’ve connected that with a free SSL Certificate from Cloudflare. There’s plenty more work to do, but like all good websites, it’s continuing to evolve. Lastly, we’re so happy to announce our third trademark (well, “Service Mark,” technically). 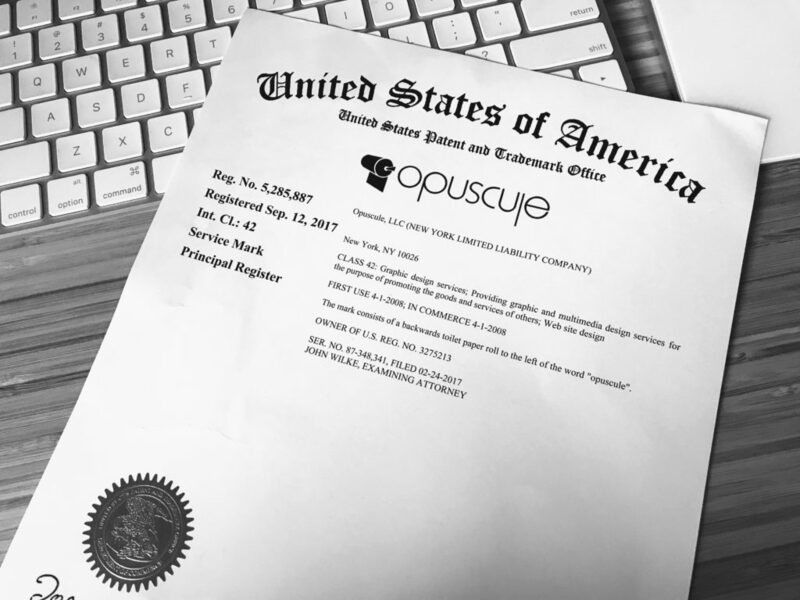 After months of waiting, Opuscule has been granted the exclusive rights to our name and logo for graphic and website design services. Come check out our offerings and see how the pros at Opuscule can help get your business online, and get it found. Contact us today at hello@opuscule.com for a free estimate.